There is no swoon like a Swinton swoon. This too haute to be square sartorialist often gets it right, in my opinion. She remains true to herself. Always. 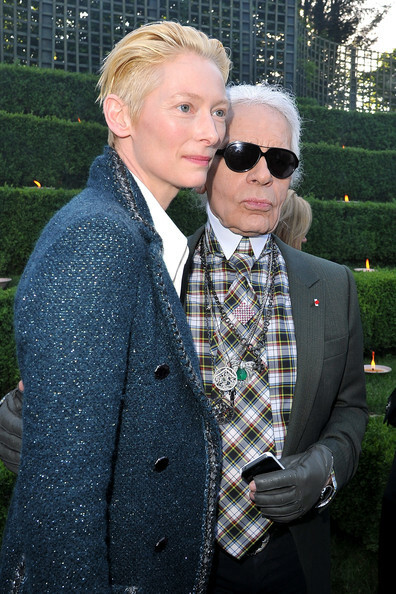 Tilda has been tempting the cameras in France this week – first, at Uncle Karl’s Versailles extravaganza the other day (the rococo/rock show that rocked a few fashion Eds along the way). Then, she was seen making the scene at the first film photo call at ze Festival de Cannes, earlier today. 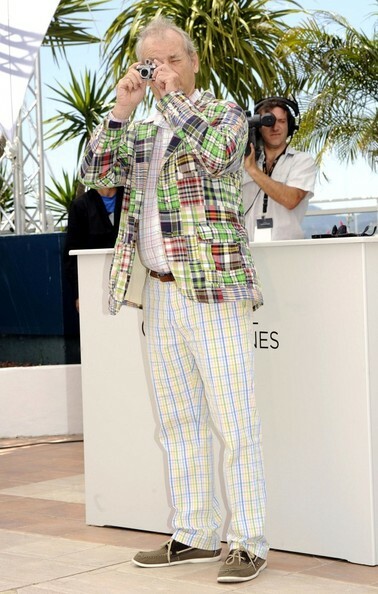 As a keen observer of the fashion condition, I ask, is Ms. Swinton mad for men in plaid? 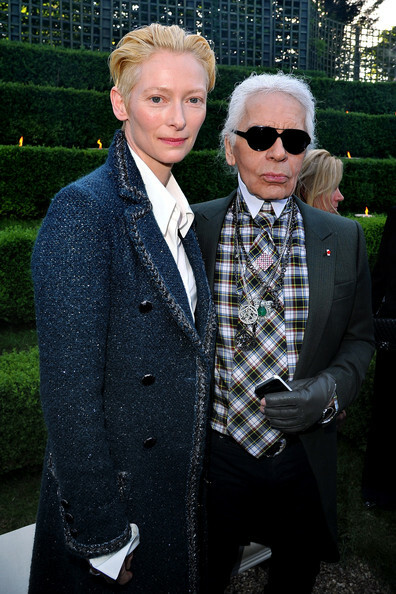 Tilda with the Mad Plaider. 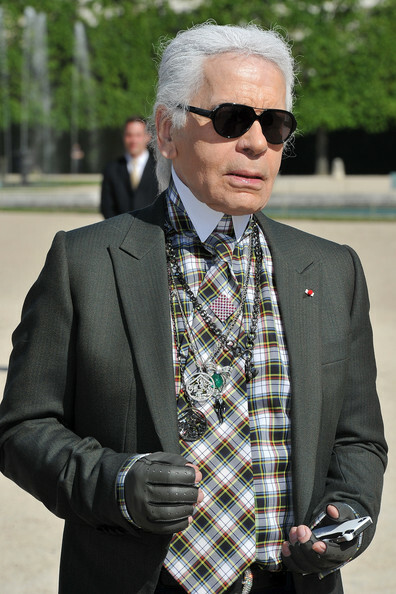 Uncle Karl at the Chanel Resort 2012/13 Collection - a busy man, in more ways than one. Despite the pattern, my eyes are still drawn to Tilda's perfect poise, not all that noise. 'I'll tell you the secret of getting attention, Tilda', whispers Bill Murray to his Moonrise Kingdom co-star. Somewhere, a retired golfer is missing his wardrobe. 'I must get a photo of my own for the kids...' Bill kindly obliges to Tilda's request. Because they are actors, Tilda holds an imaginary camera. They are *that* good. More Tilda sightings and commentary to come in the days ahead. Photos: 1,2, 3. Pascal Le Segretain/Getty Images Europe; 4, 5, 6. Bauer Griffin/Getty Images Europe.